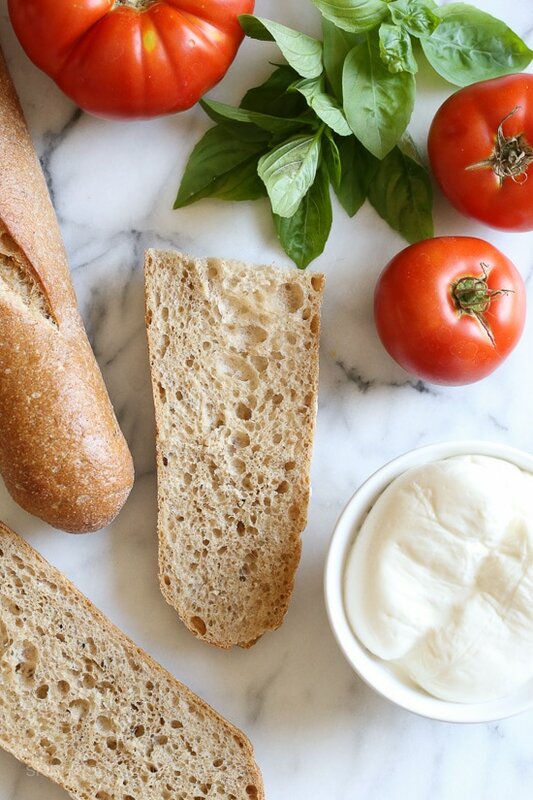 I’ve been taking advantage of the tomatoes and basil overflowing from my garden with these simple French bread pizzas. Only 5 ingredients, less than 10 minutes to make! Have them for lunch or dinner paired with a side salad. 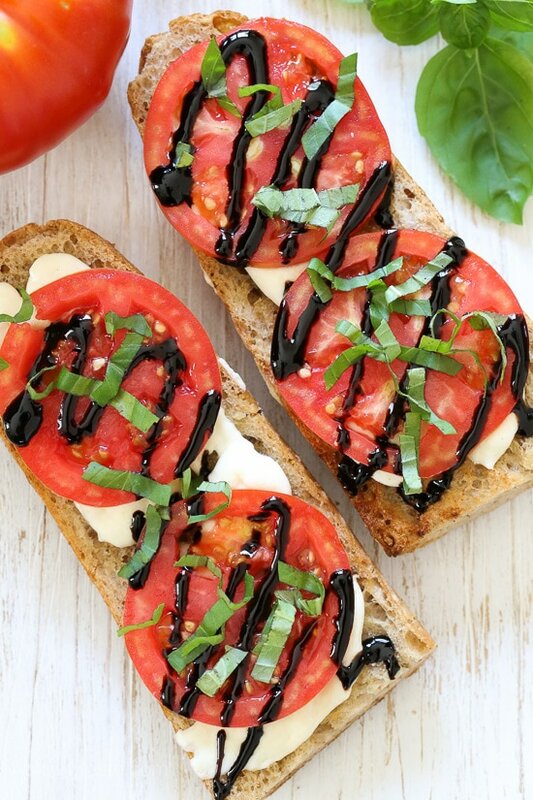 Look for a good quality whole wheat French baguette or Italian bread as your base, top it with fresh mozzarella and finish with tomatoes, basil and balsamic glaze. So good! Can be made on the grill, toaster oven or broiler. 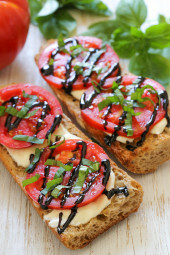 I’ve been taking advantage of the tomatoes and basil overflowing from my garden with these simple French bread pizzas. Only 5 ingredients, less than 10 minutes to make! Cut the bread in half lengthwise, then cut each half crosswise in 2 pieces to give you 4 pieces total. Tear the the cheese into pieces and place on top of the bread. Place under the broiler or toaster oven until the cheese melts, about 2 to 3 minutes. 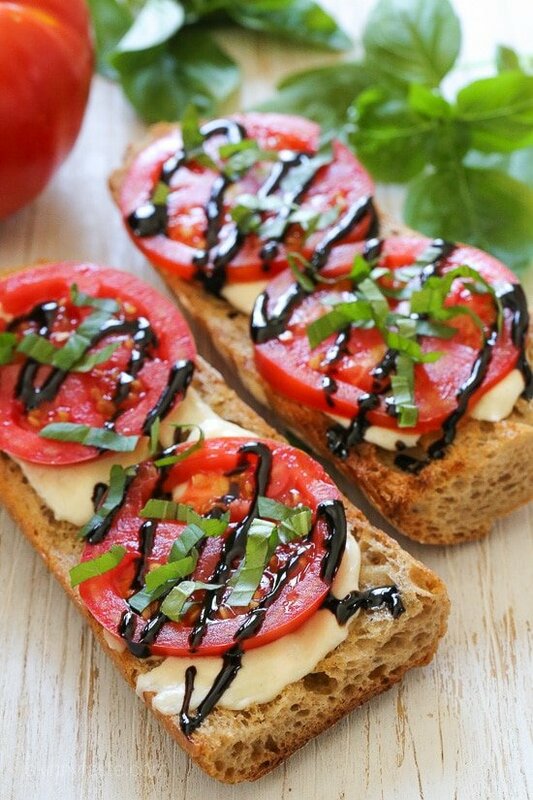 Remove from oven, top with tomatoes, drizzle with balsamic and finish with fresh basil.